Did you make it along to our fantastic Christmas Tree Festival which was held in the Old Library from the 15th – 20th December? If you did, we hope you enjoyed yourself; we’ve had some very positive feedback from members of the community, from a very wide cross-section of ages, and it really seems that the people of Rumney want somewhere to be able to meet together, relax, and take the opportunity to learn new skills, which is the wider purpose of The Library Project. If you weren’t able to join us, here is a brief summery of the event. Rumney Forum decided to arrange the Christmas Tree Festival as a fundraiser for the ongoing need to raise money to turn our now empty branch library into a community cafe with community rooms. The library building will be transformed into a fantastic, vibrant space from which the whole community will benefit. We plan to have a small book library, as well as a “library of things”, from which all sorts of items, such as gardening equipment and DIY tools can be borrowed, hireable spaces for anything from children’s birthday parties to craft courses and skill sharing, as well as computer and tablet banks and other services the library used to offer. All these will be in an informal and comfortable setting, where you can sit with a cup of tea or coffee and cake or a freshly cooked meal or snack made with locally sourced (where possible) ingredients. The coffee shop will also be a place for people to do work experience, or get back into work, and to learn cooking skills. For the Christmas Tree Festival we offered local community groups and organisations, businesses and individuals the opportunity to bring a Christmas tree to the Old Library and decorate it. The trees would become a small forest and members of the community could come and visit and vote for their favourite tree. The voting was open from Tuesday to Friday from 2-5pm, and on Saturday morning, then the whole event culminated in a family Christmas party, with children’s games and activities, homemade hot food, mince pies and shortbread, and a visit from Father Christmas. The winner of the Christmas tree decorating competition was announced, and we held a raffle to win a hamper of goodies, for which the winner was also announced. Everyone who came really enjoyed themselves and the Rumney Forum trustees were really delighted with the response from the community and the support people gave the Library Project. Here are some photos of the event, which we hope you enjoy. We plan to make the Christmas Tree Festival even better this year, and we hope that it will be held in a newly refurbished space too! As you can see, we had some really imaginative entries. Rumney Primary School tree had a school bell on the top, and the Police tree even had a blue flashing light! The first prize of £100 was won by Rumney Youth Club for their snowman tree, but the competition was very tight. Fifth Rumney Brownies, Rumney Primary School and Little People trees were also very popular. We hope this gives you a good look into our event, and if you were there, that you re-lived it a little, and if you weren’t, that maybe you’d like to get involved next time. 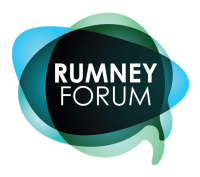 Look out for more Rumney Forum events on our Facebook page.